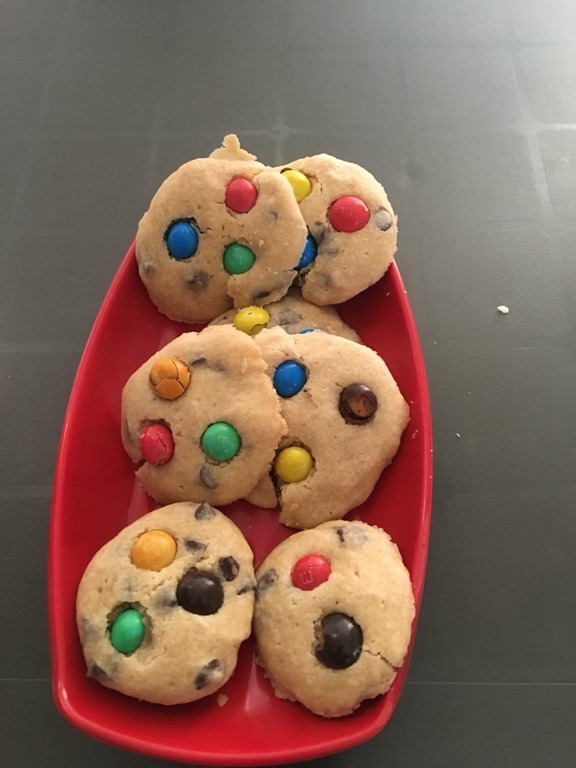 These M&M cookies are the treat for kids. 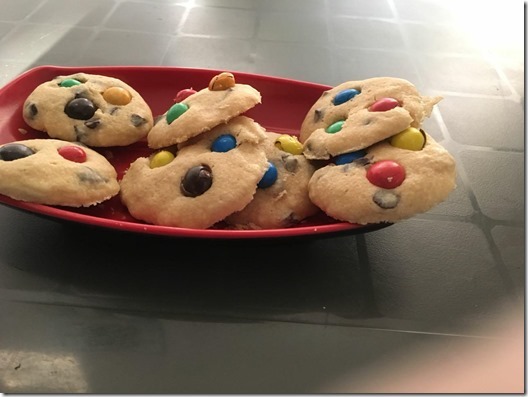 This recipe is always favorite among kids and adults. Try this on birthday parties or at school gatherings. These cookies are soft and chewy with crunchy m&m. Beat butter, caster sugar, and brown sugar together till they are creamy. Add vanilla essence and egg and again beat it well. Now sieve flour and baking powder. Now add 3/4 cup M&M in egg and butter mixture. Drop dough by teaspoonful onto the baking sheet. Slightly push a few candies on top of each dough ball with remaining candies. Grease baking tray and with the spoon put cookies on tray unevenly. Bake it for 12 to 15 minutes or till they are golden in color.